Davis jumped 21 cars with this Honda SL 350 on March 5, 1972, breaking Evel Knievel’s record set the previous year. 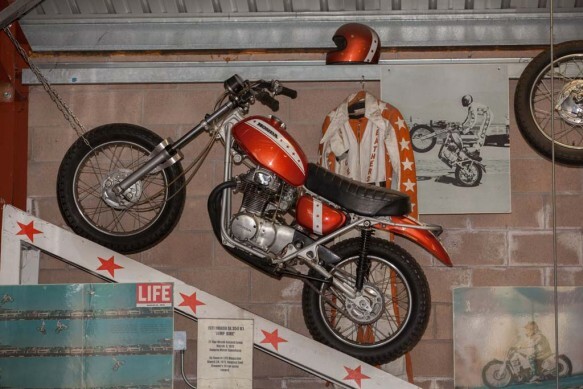 Gary Davis’s 1971 Honda SL 350 “Jump Bike” 21 Car World Record jump (138 feet) on March 5, 1972 at the Ontario Motor Speedway. This trumped Evel Knievel’s 19 car record of the previous year. As seen in Life Magazine, March 24 1972. The bike is showroom-floor stock.